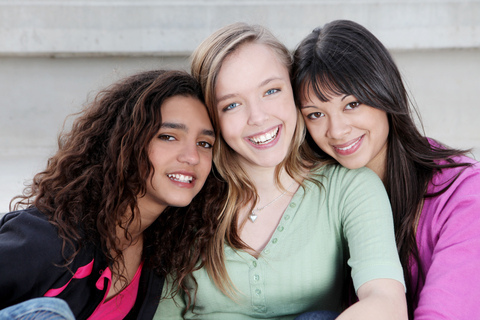 Many people undergo orthodontic treatment during childhood, adolescence, and even into adulthood. Wearing orthodontic appliances like braces is sure to produce a beautiful smile. Though orthodontic treatments at Arrowhead Orthodontic Specialists are designed to accommodate your lifestyle, chances are you will need to make some dietary modifications to prevent damage to your braces and prolong orthodontic treatment. If you have any question whether a food is safe to eat during your treatment with Arrowhead Orthodontic Specialists, we encourage you to err on the side of caution. Of course, you can always contact our Duluth, Hibbing, Two Harbors, or International Falls, MN office with any questions you have about your diet and the foods that should be avoided during treatment. By following our dietary instructions and protecting your orthodontic appliances from damage, you will be back to chewing gum in no time. If you are an adult considering braces, our team at Arrowhead Orthodontic Specialists will tell you Invisalign aligners will give you the best of all worlds. Your teeth will be straightened with virtually invisible braces. 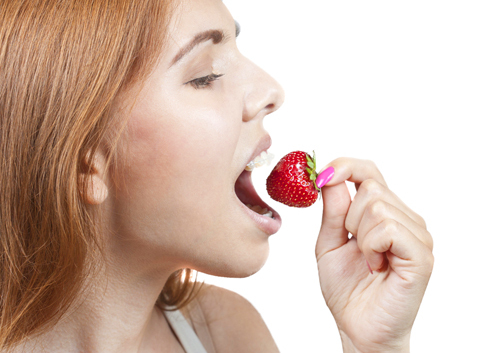 You can remove your aligners when you eat so you can enjoy any food you normally would consume. You do not have to worry about embarrassing yourself by getting food stuck in your braces. You simply clean your teeth normally after eating and replace your aligners. If there is a special occasion during which you do not want to have any braces at all, you can remove the aligners for a few hours without causing any damage. Dr. Brian Landrigan, Dr. Kirstin Carlson, and Dr. Luke Carlson and our team know that teenagers are often involved in contact sports or gymnastics. Others find that having metal in their mouth interferes with their ability to play a musical instrument. Traditional metal braces contain wires and brackets that can cause damage to the mouth and gums; this is not a risk with Invisalign aligners. For more information about Invisalign or Invisalign Teen, or to schedule an initial consultation with Dr. Brian Landrigan, Dr. Kirstin Carlson, and Dr. Luke Carlson, please give us a call at our convenient Duluth, Hibbing, Two Harbors, or International Falls, MN office! Like any orthodontic treatment, Invisalign Teen requires a customized treatment plan created by Dr. Brian Landrigan, Dr. Kirstin Carlson, and Dr. Luke Carlson. Generally, each set of aligners is worn for approximately two weeks and removed when you brush, floss, eat, and drink. Your teeth will gradually move with the series of aligners, which typically ranges from 18 to 30 aligners in total. You’ll visit our Duluth, Hibbing, Two Harbors, or International Falls, MN office every eight to ten weeks to check your progress and make any needed adjustments. Invisalign Teen introduces a whole new way to make your smile straight without the unappealing look and hassle of traditional metal braces. This revolutionary method of correcting smiles is being used by teens everywhere, including right here at Arrowhead Orthodontic Specialists, to straighten their teeth with confidence. Fortunately, modern orthodontics offers a number of solutions for crooked teeth. Traditional metal braces are the most popular, though our Duluth, Hibbing, Two Harbors, or International Falls, MN office provides a number of clear, aesthetic options as well. If you’re tired of hiding your smile because of crooked teeth, contact Dr. Brian Landrigan, Dr. Kirstin Carlson, and Dr. Luke Carlson and our team at Arrowhead Orthodontic Specialists and set up an appointment. We’ll have you showing off your straight pearly whites in no time!